how to efficiently download image from one path to be used into 2 image views in the same fragment in recycler view using picasso? Basically, I am trying to convert a URI -> ImageView (via Picasso) -> Drawable. I know the ImageView is not empty after Picasso loads it because I can display the image. But the line below is returning null. I'm trying to add each drawable to an arraylist. First, Picasso.get().load(a).into(tempimg) is asynchronous. Picasso will do the request in a thread and when it get the result, set it to the ImageView. The next lines of code can't get the result of Picasso. I have one download path. from that same source, I need to place the downloaded image into two image views. one for normal image view, and another is for blurred image view. those two image views overlap each other. those image views is located as item in the recycler view. these code can work, but I am worried. because it seems slow to download those 2 image. I assume it will download 2 images even though the source is only one. so maybe it is not efficient way. but if I use this code, sometimes the bitmap from onBitmapLoaded is null, so the image sometimes will not appear. so how to efficiently download image from one path to be used into 2 image views in the same fragment in recycler view using picasso ? I keep having this issue in my code. From the code below, I think I already checked if the load() value is null. If it's null, the code should never reach Picasso. 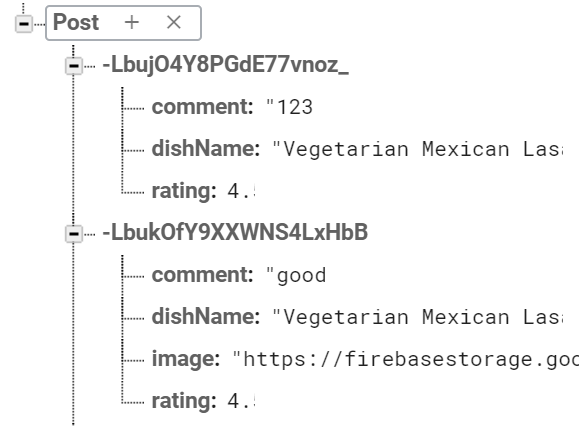 My app allows users to give comments or upload photos to a dish (like yelp). However, they're not required to post both. So there could be data have only comment or photo. So, I'm not sure if that's something that causes the problem. if yes, then put the photo on the imageView. I don't have to use Picasso if there's any other easier way. All I want to have on my app is a list of matched photos retrieved from the firebase.